Meet Phil. Phil’s a phylloxera bug. Phil’s not from around here. Phil kills grapevines. And he loves to hitchhike. Phil’s a tiny bug – in real life you can’t even see him. If you walk or drive amongst vines, you could pick Phil up on your shoes, clothes or tyres. 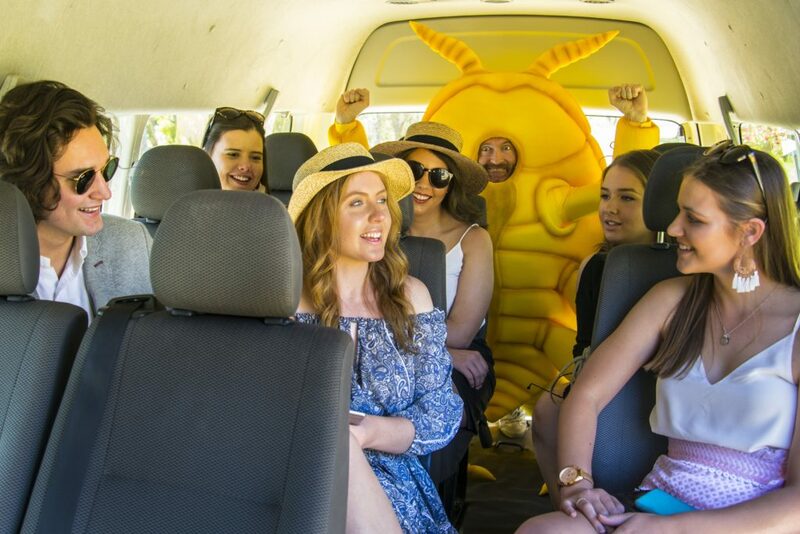 Don’t let Phil and his nasty pest friends hitchhike with you. 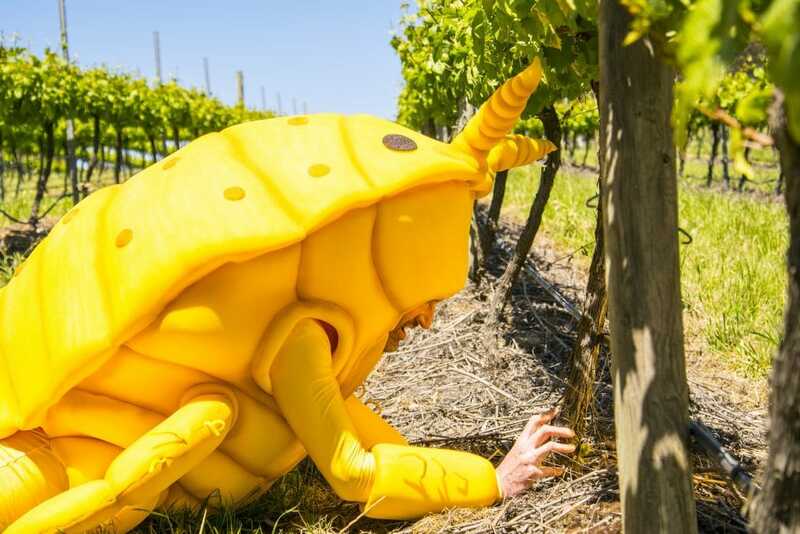 We don’t have phylloxera in South Australia. Let’s keep it that way. Stick to the roads. Don’t wander into vineyards. Enjoy our wines. Respect our vines. Planning a visit to a cellar door? 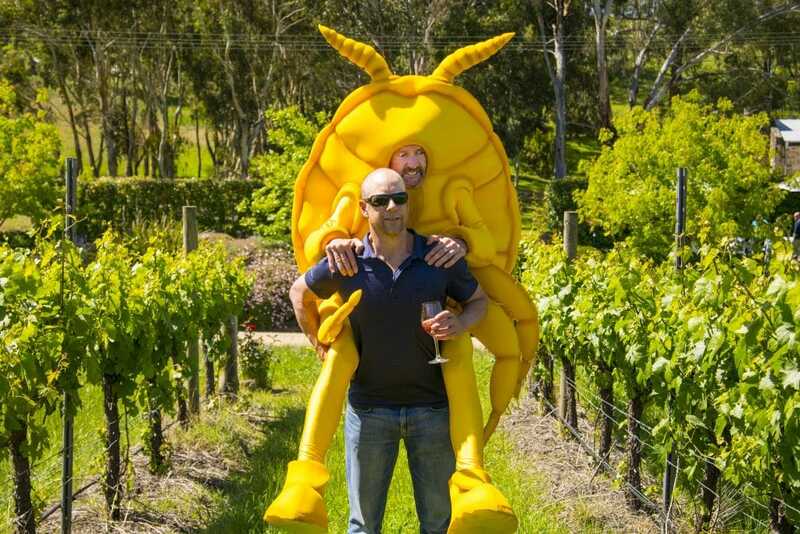 South Australia has hundreds of cellar doors scattered across 18 stunning wine regions. For a guide to our regions, click here. 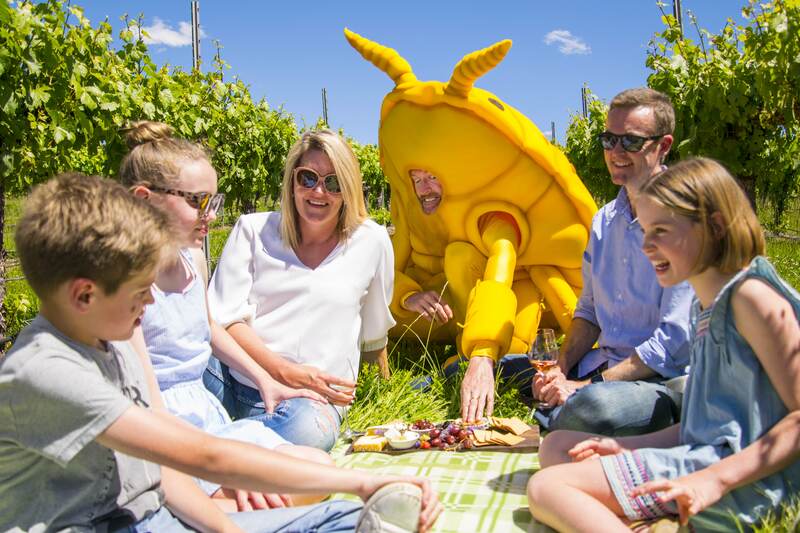 Our cellar doors offer many experiences – wine tastings, food, tours, games for the kids and more. But one experience we don’t encourage is wandering down our vine rows. Our vines are the foundation of our wine story. You can help to keep our vines safe by not walking into the vineyard. Your shoes, clothing, tyres, vehicles and equipment can pick up and spread pests, diseases and weeds, which can kill or harm our vines. There are many ways you can enjoy all that our wine regions offer without risking the health of our vines. When you arrive at a cellar door, chat to the staff about tours, experiences and activities available. Phil loves to hitchhike. Don’t let him hitchhike with you! 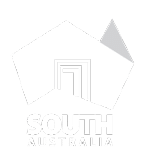 The Responsible Visitation Campaign is jointly funded by Vinehealth Australia and Primary Industries and Regions South Australia, with additional support from the South Australian Wine Industry Association.